Although Remy Ma is busy gearing up to release her highly anticipated album, 7 Winters, 6 Summers, she still has plenty of time to talk her smack. Taking to Instagram, the Bronx MC shared a snippet of her forthcoming track, "Roll In Peace (Remix)." As fans are noting on social media, this one has more shade than sun and Remy is taking absolutely no prisoners. While it is unclear exactly who Remy may be targeting, there are plenty of subliminals thrown in the mix that are up for interpretation, with some obvious guesses being that she's coming for Nicki Minaj or Azealia Banks. "You can't f—k with me baby you don't understand b—h /This for Remy Mafia I do this for my fans b—h," Remy spits at the beginning of the clip. "I get 100 bands b—h /You ain't even got no man b—h / Why would I give you a chance shorty when I can give you these hands b—h? / You don't want no smoke with me / You really a joke to me." Naturally, there's plenty more where that came from. 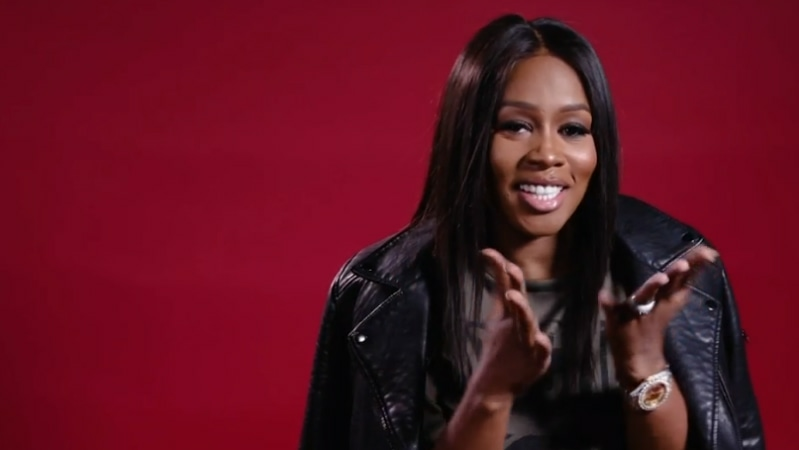 Take a listen to Remy Ma previewing her latest heat in the post below and decide for yourself who she may be taking aim at.